A flurry of support indicative of confidence in the industry? Although delegate numbers at last week's SME were down on previous years, there was a general feeling of optimism that the industry may at last be climbing out of its long trough. While I was away in Colorado there was an influx of corporate support for MEI Conferences suggesting that things might indeed be on the up. FLSmidth has long been a serial sponsor of MEI Conferences, and while in Denver I met the new Strategic Marketing Manager Mimi Sofie Stabell, who renewed their vows by signing up for Comminution '18, already being sponsors for Flotation '17. I also heard from Jon back home that sponsor Russell Mineral Equipment had reserved three exhibition booths at Comminution '18. Jon also informed me that Process Mineralogy '17 sponsor ZEISS, another serial sponsor, had also agreed to sponsor Flotation '17, Comminution '18 and Sustainable Minerals '18. US-based Cytec was a regular sponsor of the flotation series of conferences, but at the end of 2015 the company was acquired by multi-specialty chemical company Solvay, and it was good to hear in Denver that the company will continue Cytec's tradition, by their confirmed involvement in Flotation '17. So, maybe things are on the up and we should now look forward with cautious optimism. I will certainly be keeping an eye on metal prices on MEI Online. 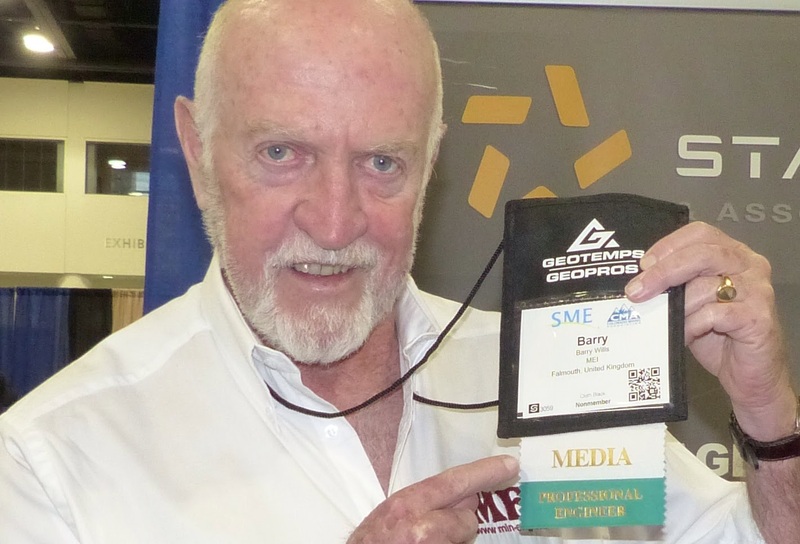 It was good to be back in Denver this week, the home of the Society for Mining, Metallurgy & Exploration (SME), which in my humble opinion is perhaps the greatest networking event in our industry. Denver always attracts the highest number of delegates, maybe because it has a great downtown, and when I reported 6 years ago from Denver, the turnout of 5200 was a record for an SME Annual Meeting, which was matched in 2012 in Seattle. In 2013 there were 6800 delegates in Denver, around 6000 in Salt Lake City in 2014, and at the last Denver meeting in 2015 there were 7800! Last year, in Phoenix, with a very depressed industry, there were 6500 delegates. So if you have never attended an SME Annual Meeting, you don't know what you are missing. Apart from a huge exhibition, and a bewildering array of parallel technical sessions, there are workshops, field trips, awards lunches and many other networking opportunities. Everyone therefore sets his or her own agenda, and mine, as always, is to wander around the huge Convention Centre, mainly in the exhibit area, and basically see what happens! As there is no published delegate list there are always many surprises and I am sure this year will be no different. Below is my diary of meanderings, which I hope, as in previous years, will illicit your valuable comments. A late afternoon opening reception in the exhibition area gave us the opportunity to have a wander around and gain first impressions. The wide aisles between booths suggests lower exhibit numbers than usual, but I may be wrong, and I will get definitive numbers later from the SME team. by the largest exhibit, the giant filter press of Tons per Hour Inc.
As the most regular media partner to MEI Conferences, my first port of call was, as always, to the International Mining booth, to catch up with the team of probably the world's number 1 mining trade journal. Next I caught up with John and Cindy Herbst. John was one of Prof. Doug Fuerstenau's early PhD students, and was the author of one of the papers in the first issue of Minerals Engineering way back in 1988. He was with Metso for many years, but left two years ago to take up the Chair of Mining Engineering at the University of West Virginia. John and Cindy are pictured below with Sandy Lewis-Gray of Gekko Systems, Australia, who will be presenting a keynote lecture in Falmouth in June at Physical Separation '17. Brent Hiskey I first met in 1996 when he and his wife Margaret and I got caught up in a riot on the streets of Mexico City! He was then, and still is, a Professor at the University of Arizona, and like me, has no plans to retire. Although Bill Johnson, Principal Consulting Engineer, Mineralis Consultants Pty Ltd and Adjunct Professor, JKMRC, University of Queensland, Australia, is one of my most respected Minerals Engineering reviewers, and a keynote speaker at Flotation '17 in November, I had never met him until tonight. He is in Denver, as tomorrow he is one of the inductees into the International Mining Hall of Fame. He is pictured with Osvaldo Bascur, of OSISoft, USA, the recipient of the Antoine Gaudin Award at the SME in 2014. Bill and Osvaldo first met in 1994 when Osvaldo was visiting Mount Isa Mines, where Bill was Minerals Processing Research Manager. Finally, towards the end of the 2 hour reception, I caught up with a few fellow UK delegates, Steve Wilson and Daminan Granlund, back-filling experts with Paterson & Cooke, based in Cornwall, and Mike O'Driscoll of Industrial Mineral Forums and Research (INFORMED). All in all a quiet start to the Congress, but an interesting one. The SME Bookstore is a good loitering spot while waiting for the exhibition to open, and sure enough I soon spotted three familiar faces, Sadegh Safarzadeh, associate editor of Hydrometallurgy, Graeme Jameson, of University of Newcastle, Australia, and Hanna Horsch of Hazen Research, USA. Moving on it was great to see Guven Onal, of Istanbul University, Turkey. Guven is involved with the organisation of two major conferences in Turkey this year. The International Energy Raw Materials and Energy Summit (INERMA) will be held in Istanbul in September, and the XVII Balkan Mineral Processing Congress in Antalya, Turkey at the end of October. Guven is pictured below with Hande Karaseki, of INERMA organisers Domino Expo. I first met Sumantra Bhattacharya in 1989 when I spent some time as a visiting lecturer at the Indian School of Mines. He is still at the ISOM, which is now part of the Indian Institute of Technology. He is pictured below with me and Swadhin Saurabh of Millcreek Engineering, USA. Moving slowly towards the exhibits, I bumped into Osvaldo Bascur again, who is involved with process control with Tara Rana of Barrick Gold, Canada and Pamela Moyo of Barrick Nevada, USA. Also in the picture is Quingqing Huang, a postdoctoral research associate in the department of mining at West Virginia University. Chris Martin is a regular exhibitor at SMEs and MEI Comminution conferences. His Alabama based RSG Inc manufactures air classifiers and fine grinding mills for the dry processing minerals industry. The company is currently expanding its 35 000 ft2 test and toll processing facilities, to include a new vertical roller mill system. The roller mill is suitable for feed sizes up to 20 mm and can reduce to fine powders in the range of 30 to 150 microns. The 25 HP mill is configured with hot gas generator for simultaneous drying in circuit. The new system will be available for customer testing and toll processing from March 2017. Chris is seen below talking to Bhaskar Kodukula of ArcelorMittal, USA. Following lunch were lectures from the recipients of the Mineral Processing Division's most prestigious awards. Prof Gerald Luttrell, of Virginia Tech, was awarded the Robert H. Richards award at the SME Meeting in Seattle in 2012. This afternoon he was the recipient of another prestigious SME award, the Antoine M. Gaudin Gold Medal, for his contributions in developing separation technologies for mineral and coal processing in equipment design, modelling and optimisation and plant circuit engineering. The Richards award was presented to Ravi Ravishankar of Virginia Polytechnic and the recipient of the Milton E. Wadsworth Award was Fiona Doyle, Professor of Mineral Engineering at the University of California Berkeley, for her fundamental examination of hydrometallurgical and electrometallurgical processes to develop a foundation for sustainability and economic competitiveness in the nonferrous metallurgical sector. It was also good to catch up with Jan Miller and Chen-Luh Lin, of the University of Utah, recipients of the Arthur F. Taggart Award for their paper "Opportunities for plant-site 3D coarse particle characterisation with automated high-speed x-ray tomography", published in Minerals and Metallurgical Processing last May. Prof. Miller will be a keynote speaker at next month's Process Mineralogy '17 in Cape Town. Chatting In the exhibition area were Phil Thompson of FLSmidth, a Gaudin Award winner in 2012, and Wolfgang Baum, formerly with FLSmidth, when he presented a keynote lecture at Process Mineralogy '12. Wolfgang is now Managing Director of Ore & Plant Mineralogy in San Diego. Thermo Fisher Scientific recently acquired Process Mineralogy '17 sponsor FEI. Thomas Strombotne will be in Cape Town next month to present a paper at Process Mineralogy '17 and he is photographed centre, below, with other members of the Thermo Fisher team. 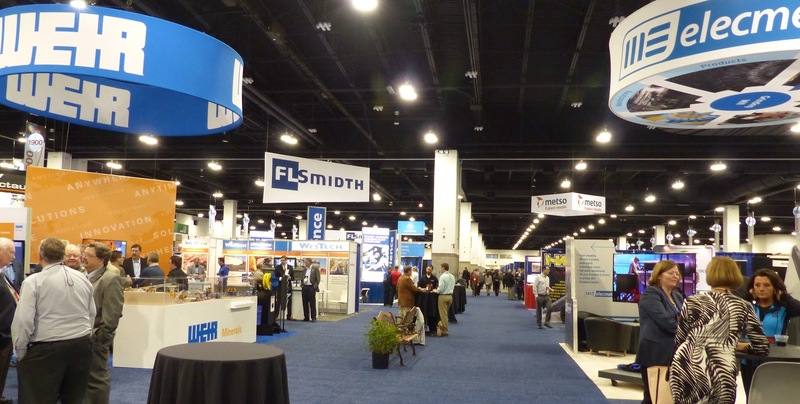 The huge FLSmidth exhibit always provides a useful landmark, but one very familiar face was missing this year. Andrew Cuthbert was for many years the link between the company and MEI, but Andrew has now moved on to other things, and our new contact is Strategic Marketing Manager Mimi Sofie Stabell, seen below (centre) with Trade Show Manager Starla Jackson, and John Chadwick of MEI media partner International Mining. FLSmidth is a sponsor of Flotation '17, and this morning agreed to sponsor Comminution '18 also. This morning FLSmidth launched its new FerroCer wear liner, with a presentation by Brent Stokes, Consumable Products Director. FerroCer Impact panels are lighter and less bulky than traditional metallic liners. Each panel comprises a number of ceramic inserts enclosed within a matrix of cast metal. The matrix protects the more vulnerable side faces of the inserts and ensures that only the wear face of the ceramic is exposed to material impact. The panels’ low weight (approximately 5kg) and compact shape make them quick and easy to install using nothing more than standard hand tools. FerroCer Impact can be installed in chutes, hoppers, bins, guides, deflector plates or any place where bulk material is conveyed in a mine or minerals processing plant. The German company Steinert Elektromagnetbau is one of the leading players in electronic sorting, and will be much involved with Physical Separation '17 in Falmouth in June, both as a sponsor and presenter. I called in at the Steinert US booth to meet some of their team. Steinert sensor sorters use NIR, HSI and x-ray technologies to help mines recover more materials from what is normally considered waste rock, eliminating the need for expensive heavy/wet media separation. The mining industry is facing considerable new challenges today as the demand for minerals and metals increases. In order to successfully operate and remain competitive the industry needs to continuously evolve and work with supply partners who can help them to meet and overcome these challenges. 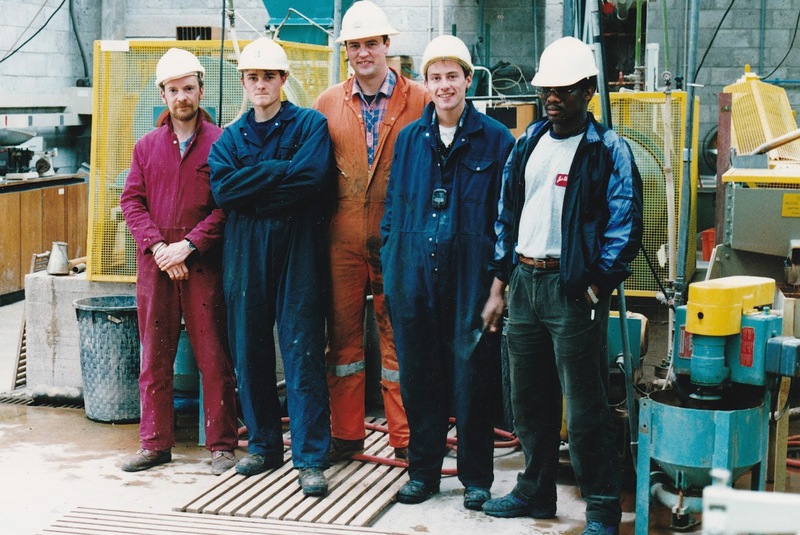 For more than 40 years Quadra has cemented itself as a reliable and trusted supplier of chemicals to the mineral processing industry. In collaboration with world class manufacturing partners, such as Huntsman, Quadra has been offering reagents and services to mining companies worldwide. Eriez Flotation Division has released a new, electronic sparger for column flotation applications. The iJet sparger is equipped with on-board diagnostics which continuously monitors sparger position (open/closed) as well as air and water flow rates and provides feedback using a series of LEDs. The battery-powered device is also equipped with a digital, wireless interface which communicates with a local control display. The control provides operator feedback via a control signal to the plant control system as well as local visual status display. Operators can see the current operating state for all spargers and schedule necessary maintenance to minimize circuit losses. No doubt we will hear more of this at Flotation '17. Work load is steady at Comminution '18 sponsor Starkey & Associates with new projects from Russia and Canada. New initiatives include a new SAGDesign Test mill for Kanikavan Sharq Engineering Co. in Iran; a joint venture to design process plants, including grinding and metal recovery processes; mine to mill optimization to reduce grinding energy by controlled fine blasting; working with UBC to look at and develop grinding energy reduction concepts for ore sorting projects; and adding an HPGR testing option to their standard SAGDesign test. Leaving the exhibition I bumped into Keith and Hayley Armstrong of Australian company SysCad. The company is making its debut at an SME, looking to establish its US office and grow its North American user base. SysCAD is widely used in all mineral processing industries, its Steady State and Dynamic process simulation software being used throughout the life cycle of a project by consultants, engineering companies and owner operators. More than $300 billion worth of operating plants worldwide have been designed, managed, optimised and operated using SysCAD. It is also used in universities and institutions for teaching and research. Finally it was back to the hotel to freshen up before going on to the Hyatt Regency Hotel for the reception for International Delegates, a relatively disappointing evening with a much lower turn out than in previous years. The last morning of an SME is always quiet, so I called at the Bookstore again to see Jane Oliver and her team who are now familiar faces at all these events. I then took a last stroll around the exhibits before the noon closure. 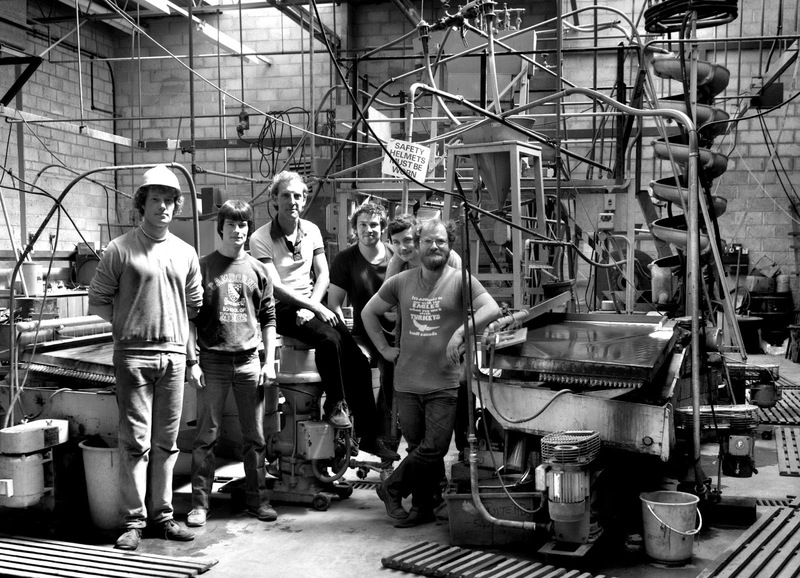 It is great to hear that a company has the confidence to claim that they have revolutionised a sector of the mining industry, but USA company Fluid Systems Inc, boldly claim to have done just that for fine screening, with the MultiG screening technology that creates multi frequency motion, virtually eliminating blinding, and, depending on the application, up to 50 G of linear motion. They claim that the MultiG screens can handle flowrates similar to some conventional 5 and 10 deck screens. This was the lowest turnout in Denver since 2011, with around 6300 delegates registered, but this of course reflects the still depressed state of the industry. There are signs of an upturn however, and we look forward with optimism to next year's event, February 2018 in Minneapolis. Thanks to all who work quietly behind the scenes at SME, for another very productive event. A quiet start to the SME Annual Meeting yesterday afternoon at the Colorado Convention Centre in Denver, with a 2 hour opening reception in the exhibition area. Very aware that I am a journalist, and as such a potential enemy of the state, I shall be doing my best to report on the event without bias, and will be posting regular late night updates on Twitter. We are pleased to announce that Kemtec Mineral Processing Pty Ltd, a new Australian company which supplies specialty flotation reagents to tackle plant challenges, is to sponsor Flotation '17 in Cape Town in November. Kemtec recognises that more is needed than just supplying reagents alone, and the company's product range has been developed based on flotation cell hydrodynamic technology. Technical Manager Dr. Kenneth Lee has long been a respected reviewer for Minerals Engineering and he says that Kemtec's approach begins with the strict adherence to a methodology that incorporates Six Sigma principles for defining and solving plant problems. "We bring the best in experienced people, who combine the knowledge of the attributes of mining reagents with the know-how to best apply them in the operation of a flotation concentrator. This expertise enables us to assist in determining the true problem and how to best use chemistry to get to a solution. We then use the right amount of well-designed laboratory tests to gain empirical knowledge on the relationships between reagents, circuit conditions and operating parameters on flotation performance. The majority of the effort will then focus on the actual plant, using sound, statistically based testing (and good old fashioned metallurgical art) to understand the true causes and effects that changes in reagents, conditions, and operations have on the mineral flotation rates. Only when these effects are understood, can changes be incorporated that will have the true effect of improving the long term performance of the mill. History has shown that every mine is unique and that an individualized metallurgical solution may be what is needed to perform at optimal levels. Without a complete understanding of the total system, and the ability to provide custom formulated products, valid and lasting improvements are rare". MEI is pleased to welcome Kemtec as a first time sponsor of an MEI Conference. Barbara and I are in Breckenridge, USA all this week. This is our 9th visit to this 19th century gold mining town, set at an altitude of 9,600 ft in the Colorado Rocky Mountains (see also posting of 12th February 2015). Just west of the Continental Divide, it is one the the largest and most visited ski areas in the world (see also posting of 27th February 2015), and one of the main reasons why Colorado is my favourite SME Meeting location! On Saturday we descend to the mile-high city of Denver, and I will be reporting on news of mineral processing innovation and people for my annual SME report, which is scheduled for the blog on Friday 24th February. The Julius Kruttschnitt Mineral Research Centre, otherwise known as the JKMRC or just the JK, is widely known internationally in mineral processing circles. But many will not know of Julius Kruttschnitt, the man after whom the JK is named. It is an interesting story which spans a largely forgotten period of the minerals industry from the early 1900s till the mid 1970s. Don McKee, who succeeded Alban Lynch (posting of 11 August 2014) as the second Director of the JKMRC in 1990, takes up the story. It is a story of a great mining engineer who spent the first part of his professional career in North America and the second in Australia. Julius Kruttschnitt (JK) was born in 1885 in New Orleans, Louisiana. JK studied mining at Yale where geology had long been a major strength. He undertook a course which included geology, chemistry, mining, metallurgy, and foreign languages. This broad education, typical of the time and in some respects sadly lacking today, particularly when the trend at operations is to integrate the geology, mining and processing functions, provided a base which was to serve him well. Julius graduated in 1906. His first job was as a geologist's assistant in California. He soon moved to the Arizona Copper Company where he grappled with complex metallurgical problems. In 1909 he joined ASARCO (American Smelting and Refining Company) and was sent to Mexico where the company had substantial mining operations. The time in Mexico was varied and unpredictable including an occasion when he was held at gunpoint, as 1910 was the beginning of the Mexican revolution. In 1912 he moved to the El Paso smelter operations and from there to Tucson at the head of the company office in Arizona. 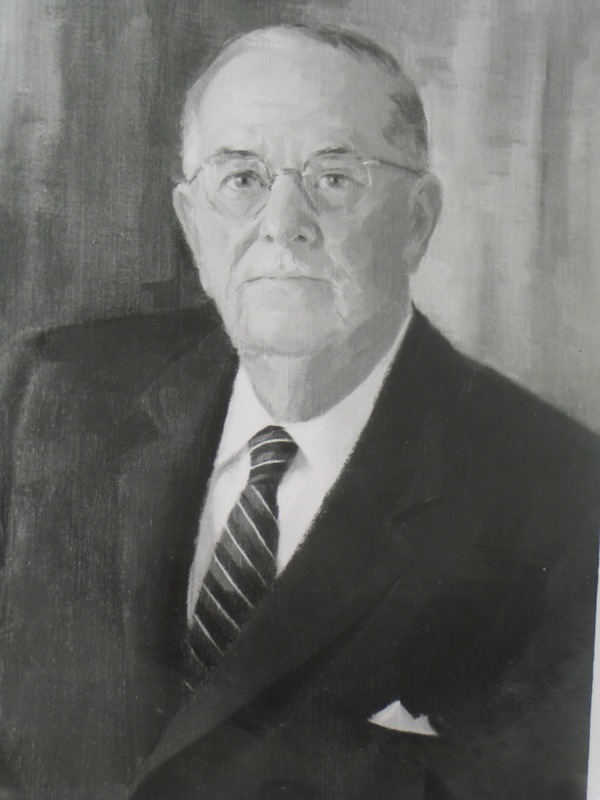 Over the next 18 years he was responsible for mining acquisitions including the Silver Bell operation and for mining developments at many sites. By the mid-1920s JK’s responsibilities included ASARCO’s operations in the US south-west and all of its western Mexico sites. JK's story then switched to Mount Isa in North West Queensland. Lead and zinc had been discovered at what became Mount Isa in 1923. The development of a large underground mine, processing plant and lead smelter and all the associated services, including power and a water supply, proved to be a huge challenge in such an isolated region. The ownership of the fledging operation changed a number of times during the 1920s as the mine consumed vast capital. In 1930 ASARCO invested in the operation and Julius Kruttschnitt travelled to Mount Isa late that year to assume the position of General Manager. Mount Isa which was little more than an isolated and uncomfortable mining camp. In his own words “I was in Arizona. I was in charge of the South West Mining Department of ASARCO. They asked me to come as General Manager of Mount Isa Mines. 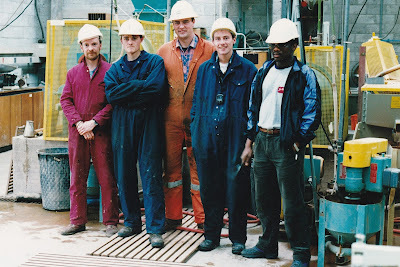 If you're a mining engineer, you don't say ‘where is it and what kind of living accommodation and how much am I going to get’, you go – that’s your profession to go where the mines are”. Such were the challenges which confronted JK over the next 15 years that it is worth outlining a few so that today’s engineer can gain an idea of just how difficult things could be 80 years ago. When JK arrived at Mount Isa in December 1930 underground mine development (which had not long resumed after the mine was flooded earlier in the year) and construction of the concentrator and lead smelter were proceeding. There was an urgent need of additional capital to complete the operation. This was to become a recurring theme for the next seven or eight years. JK had to raise more finance and this at a time when metal prices were the lowest in history. The first lead carbonate ore was put through the plant in May 1931 and the mill was an immediate failure. Lead losses were running at 25%. To make matters much worse, the smelter was also a failure and it was immediately necessary to double the capacity of the sinter plant and add another blast furnace. 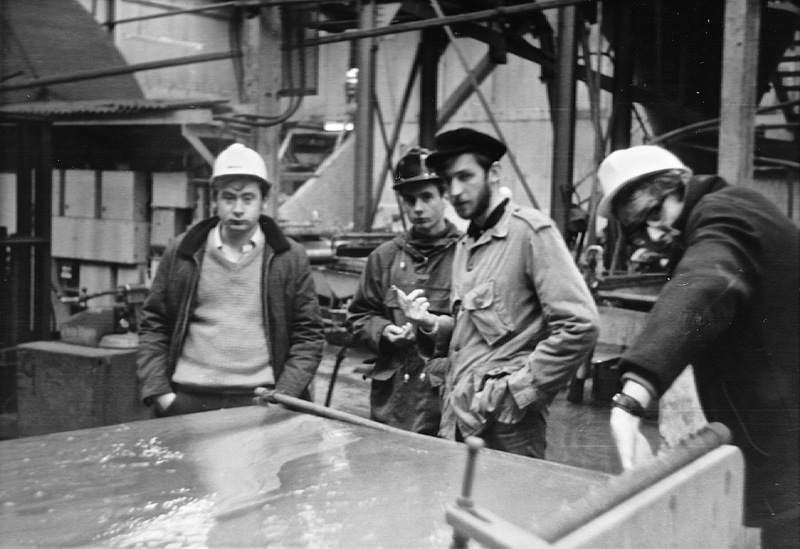 To complete the woes, fumes in the lead smelter were choking and health issues for the workforce were severe. As mining continued there was a transition from shallow carbonate ore to deeper lead sulphides containing the familiar mix of galena, sphalerite, pyrite, pyrrhotite, silver minerals and small amounts of chalcopyrite. At the time JK reported “concentration is made difficult by the fineness of the mineralisation and the intimate associations of the sulphide and gangue minerals”. Metallurgists at Mount Isa ever since have confronted exactly the same issue. In 1936 JK was forced to reduce the lead reserves because the lead grade was lower than expected. Cost pressures were constant, made more serious by the extremely high transport costs to Townsville. It took until 1936/37 for Mount Isa to record a profit. Drilling in the late 1930s had discovered mineable copper reserves. In 1942 the Australian government requested, perhaps it was stronger than requested, Mount Isa to change to copper production for the war effort. So began a frantic few months during which a copper smelter was built from the long abandoned smelters at Mount Elliott, Mount Cuthbert and Kuridala. It is almost beyond belief that copper production commenced in April 1943, a mere six months after the government directive. It is still even more remarkable that just seven months later, the government advised it did not want copper from Mount Isa. Furious negotiations followed, resulting in copper production continuing till May 1946. And what of the man? The following comments were provided by the late David Buchanan, a young metallurgist who joined Mount Isa Mines in 1946. He recalled a small man, always impeccably dressed in a suit and tie. His dress formality extended in other ways. He was always Mr Kruttschnitt and senior company staff always addressed one another as Mr. He was a generous man who looked after his employees without their being aware. JK understood all aspects of the operation and most of all, the financial position. David remembers JK and his senior managers doing a complete site inspection every Saturday. The people working at Mount Isa knew their general manager was familiar with every aspect of the operation. JK retired in 1953 and lived in Brisbane till he passed away in 1974. He was one of the outstanding men of the Australian minerals industry and he is rightly credited with establishing Mount Isa Mines and providing the foundation upon which was built one of the great Australian mining companies. What has all this to do with the JKMRC? There were many sides to JK. One of his major contributions was to work with two other leading mining figures to convince the University of Queensland to offer a degree in mining engineering. The Mining Department was established in 1949 and the first courses were offered in 1950. 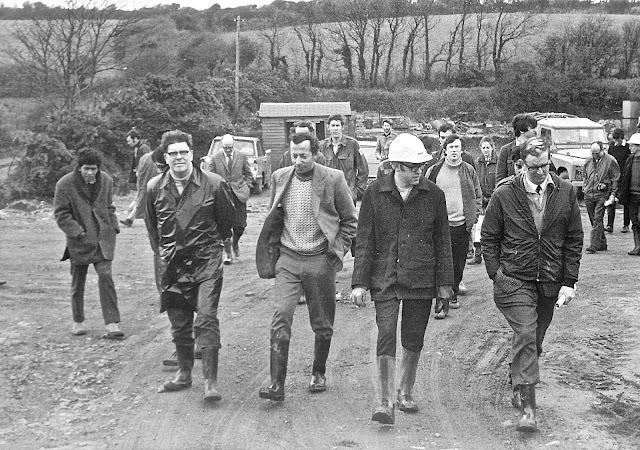 Its first leader, Professor Frank White, was an outward looking man who could engage with the industry and understood the importance of research. 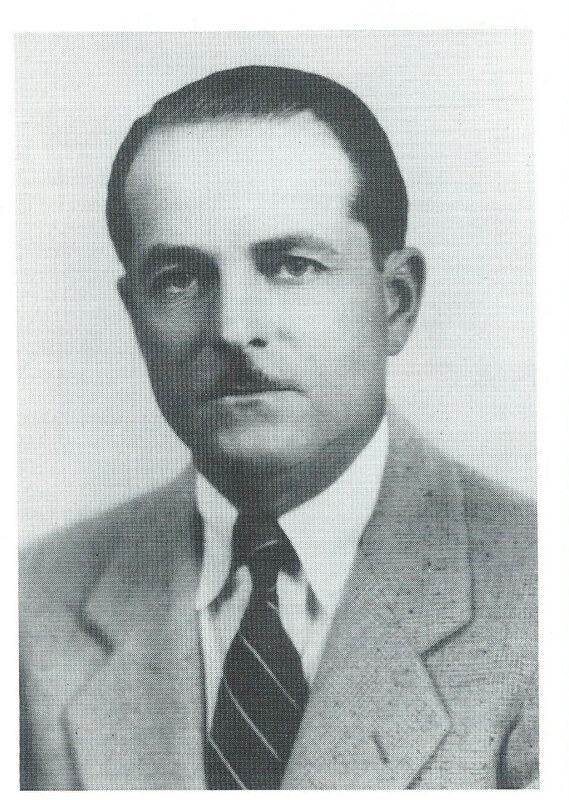 Alban Lynch joined the Department in a research capacity in 1958. In 1962 he established an AMIRA Project The development of a system for automatic control of ore grinding circuits. Widely known as the AMIRA P9 project, it continues uninterrupted today. Alban Lynch regarded the concentrators as his laboratory, establishing the approach of conducting experimental work in plants, largely by postgraduate students. Mount Isa Mines by now was at the forefront of technical developments in its mine, concentrators and smelters and it enthusiastically embraced the Lynch approach. In a remarkably short time, the grinding and classification models developed by Alban Lynch and TC Rao (posting of 16 July 2014) were used to simulate a rearranged grinding circuit at Mount Isa which achieved significantly increased throughput. The project rapidly marched on. By 1967 one of the Mount Isa grinding circuits was under analogue computer control and this was soon followed by digital control. It is fair to say the management of Mount Isa were impressed with such rapid progress. The Managing Director of Mount Isa Mines at the time, the late Sir James Foots, could see the potential for expanded industry focussed University research of the type undertaken by Alban Lynch. Negotiations between the University and Mount Isa Mines during 1968/69 resulted in Mount Isa providing funds to establish a research centre for the Lynch group, which included the provision of a new building at the University Mine at Indooroopilly and some recurrent funding to expand the work of the group. The research centre was established in 1970 and was named in honour of Julius Kruttschnitt, then a man of 84. In 1971 the University conferred an Honorary Doctorate on JK. Alban Lynch remembers JK in the early days of the Julius Kruttschnitt Centre at Indooroopilly. JK was interested in the Centre and he was a frequent visitor. He recalls a man interested in research and technical developments. He suggests this interest stemmed from JK’s personal involvement in the US and Mexican mining industries at a time which saw the transformation of small, high-grade underground mines using gravity concentration methods to much lower grade and largely open pit operations using flotation recovery. Subsequently, JK published detailed technical papers on mining and processing at Mount Isa in the AusIMM Proceedings. And finally, Alban recalls a man from an era when company loyalty was paramount. He was typical of the great general managers who were skilled in geology, mining, processing and financial management. 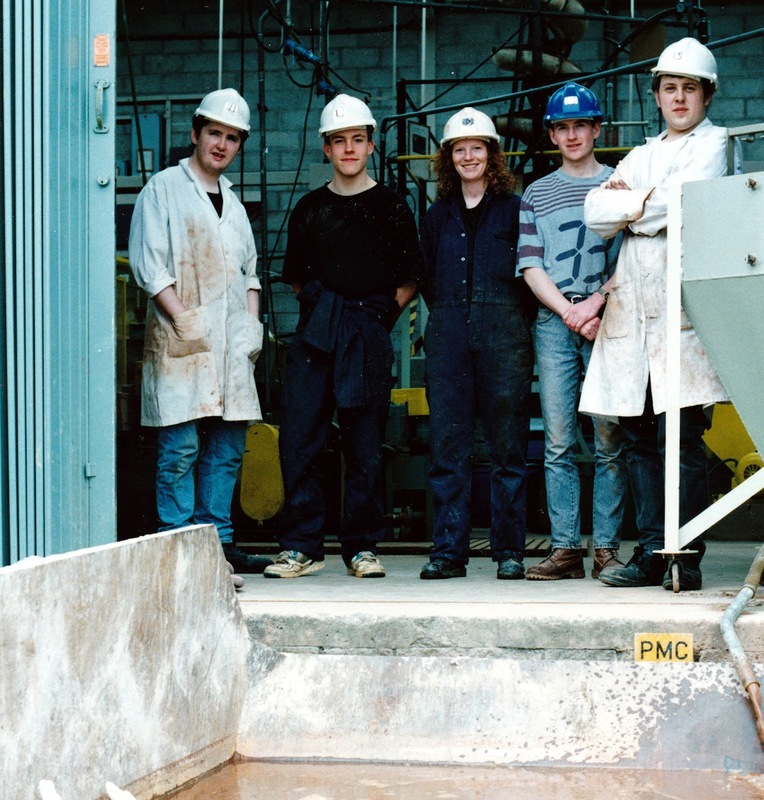 Over the years the JKMRC has been active in geology, mining and processing research. Only the financial dimension has been lacking from the Julius Kruttschnitt armoury of expertise. It is highly likely JK would be impressed by the achievements of the centre which bears his name. Many thanks to Don McKee for supplying this fascinating biography of a mineral processing legend. See also Conversations with other well know mineral processors. The increasing importance of physical separation in mineral processing was discussed in the posting of 16th January, which highlighted how electronic ore sorting is becoming increasingly used, due to the development of rapid sensors in such sorters. So we are pleased to announce the sponsorship of another leading player in this field, TOMRA Sorting Solutions of Germany. The mining industry consumes 2%-3% of the world’s energy, the same amount of energy used by the entire airline industry. TOMRA Sorting, which originated from CommodasUltrasort, claim that their sensor-based sorters can reduce that energy consumption by 15%, as well as reducing the amount of water used by three to four cubic meters per ton of ore.
We also welcome back Jens-Michael Bergmann, TOMRA's Sales and Project Manager Europe, who will present a paper in the fine technical programme, describing TOMRA's latest multi-channel laser sorting machine, which opens new opportunities for mining companies. It will be great to have Tim Napier-Munn with us in Falmouth in June. He will be presenting one of the keynote lectures at Physical Separation '17 (posting of 28 January) and is looking forward to visiting the old pubs of Falmouth, and particularly the field trip to the historic Camborne-Redruth tin and copper district. 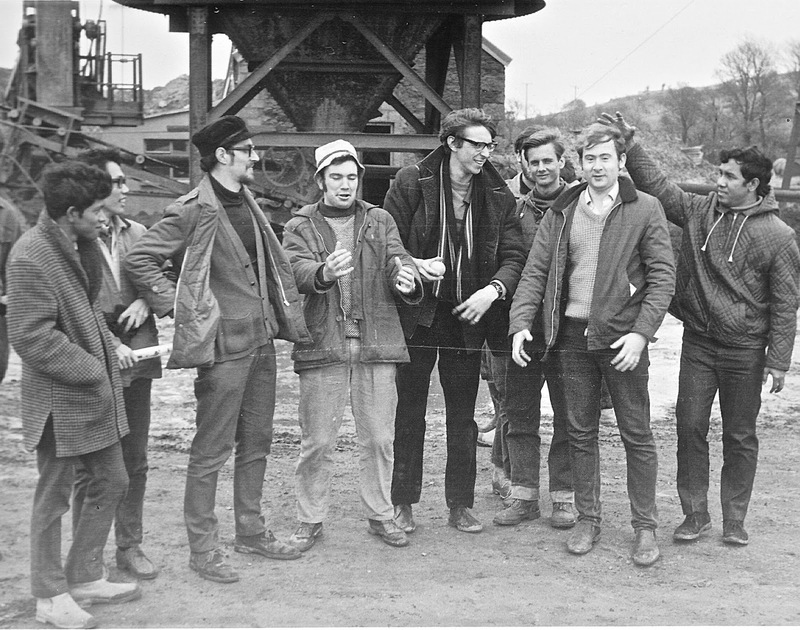 The prospect of the mine visit obviously created a surge of nostalgia, and Tim sent me these fascinating photographs of his first visit to the mines of Cornwall, with the final year Mineral Technology group from the Royal School of Mines (RSM), in 1970. Ron Dougill, Keith Suttill, Alan Loosely, and ?. Standing behind Keith Suttill is Dave Wellings. As Tim was the photographer, he unfortunately does not appear in the photos, but one of the faces I immediately recognised was that of Henry Cohen, who succeeded Marston Fleming to the Chair of Mineral Technology in 1974. Prof. Cohen's research on the magnetic properties of minerals led to work on super-conducting magnets and cryogenic systems, and in later years he supervised Tim's PhD research into dense medium cyclones, the subject of his keynote lecture in June. Great memories of a bygone era when tin mining in Cornwall was still thriving.